Of all the sanskaars those landmark occasions that mark the human passage form birth to death one of the most significant is that of marriage an occasion for celebration dance and song. 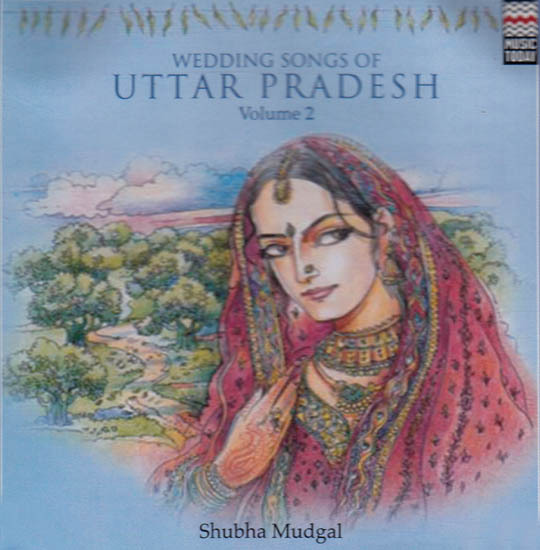 The wedding songs of Uttar Pradesh born of the folk forms of the great Gangetic plain are typical of its composite culture a complex tapestry woven together for many strands. Different religious communities share common rituals and ceremonies the mehndi the sehra and the poignant bidai. The very terms for the groom and the bride Banna and Banni are part of the Mughal heritage now household words across northern India and an inseparable part of the repertoire of U P wedding songs. The lyrics come form U P dialects are part of the human experience. And yet underlying the joy and celebrations there is more than a hint of sadness. Could this be because it was essentially women who created these songs? And who better to understand the pain of separation from beloved parents and childhood companions the mingling of happy anticipation and poignant apprehension than other women! In this album which presents songs sung at the home of the bridegroom the Ganapati Vandana marks the auspicious beginning of the celebrations songs about the bridegroom the gleam of the gem studded sehra and the prancing horse that will take him to his wedding then follow. The last four songs are about the arrival of the bride in her new home an occasion marked by its own rituals.